While I’m experienced with AWS, Azure is mostly an unknown world to me. Given we’re running Windows servers with SQL Server, why not go native. I really want to give SQL Azure a spin. The portal for Azure is much nicer than AWS. They have those stupid panels in places1 but mostly it makes logical sense. Esri has Cloud Builder to simplify installation which I though would be great for starting up prototypes quickly. So logical, no? Well late yesterday this tweet went out by me. You can literally hear the sad trombone sound. Now Sam Libby was helping troubleshoot but things were still a bit weird. Basically as you can see in the error above, I needed to accept an EULA. 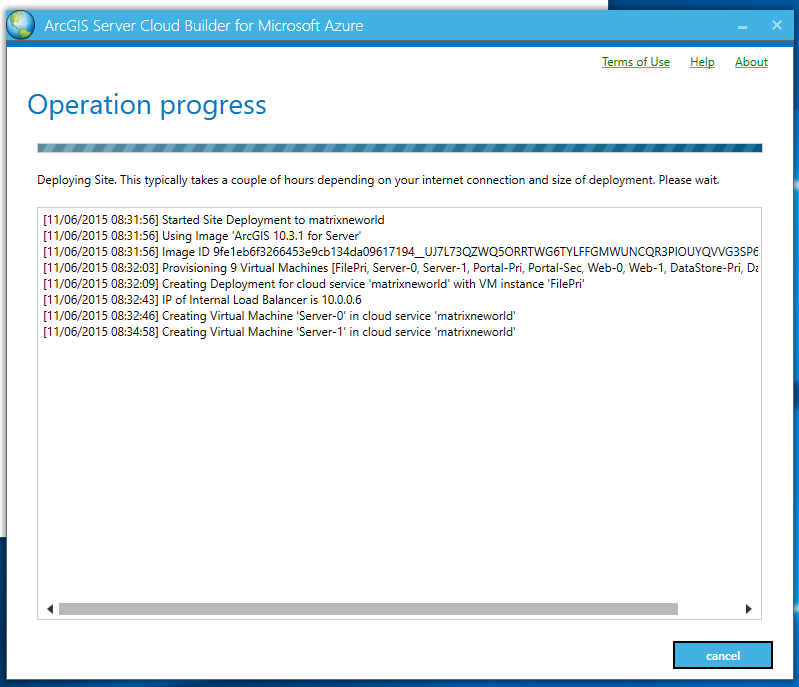 Now of course I went into the the Azure Marketplace and followed the instructions to allow the Esri VM to be deployed programmatically which is what Cloud Builder requires. But each time it errored out the same way. @cageyjames @Esri Run the image from the Azure console and then remote in and apple the license yourself -- as a workaround? Basically he hit upon it. 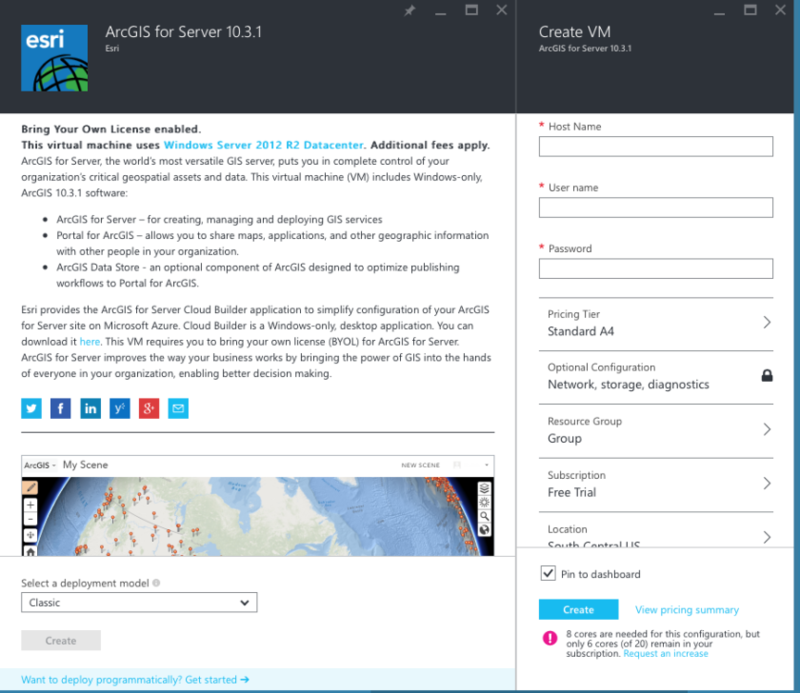 Microsoft did something with the marketplace and for whatever reason the Cloud Builder app won’t install an Esri ArcGIS for Server VM until you actually install it first yourself. The workaround to get the Cloud Builder app to run is actually just create a VM using the Azure Portal then delete it. After that, the Esri Cloud Builder app runs perfectly without trouble. Philip Heede basically confirms everything. @cageyjames @s_libby We've discussed with Microsoft and provided feedback on the end user experience. 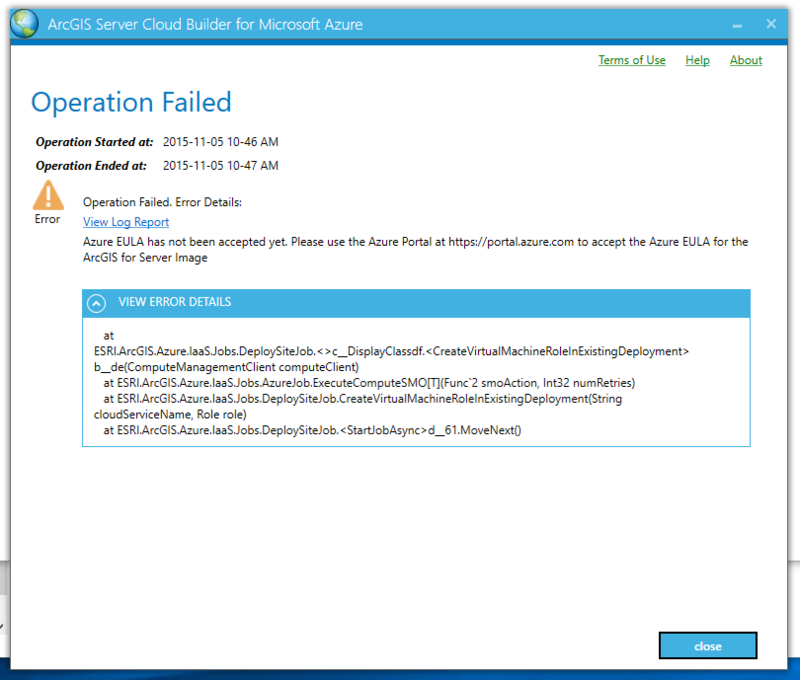 So the ArcGIS for Server Cloud Builder2 works great. While I don’t like wizards in general, it automates the processes that take time and let’s you focus on the settings for ArcGIS for Server you want to change. I honestly haven’t installed ArcGIS for Server since it was ArcGIS Server (without the for) 9.3.1 and it was interesting to see how things have changed and how little has actually changed.